Martin is an eight year old little boy who was born premature. He couldn’t be taken to the hospital and put in a warming machine, so his mother covered him with a blanket instead. Martin was healthy until he contracted malaria at the age of three. 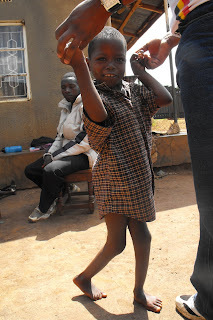 Two months later the malaria had caused cerebral palsy (CP); deforming his arms and legs. He was admitted into several hospitals but none of them could help with this disorder. Spring of Hope (SOH) started working with Martini when he was 5 years old. The first step they took was to have him fully cased for one year. Now Martin is able to sit and walk with help. 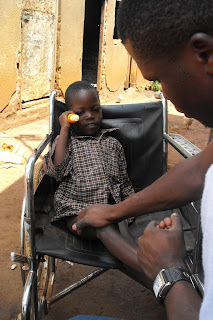 SOH is now working with him using exercises that focus on mutability, communication, and balancing while sitting. Martini has shown encouraging growth since SOH first started working with him.